When it comes to finding some seriously great and authentic Mexican food, it's hard to beat a city like Austin. The Texas capital plays host to a plethora of Mexican restaurants ranging from delicious hole in the wall eateries all the way to some of the most upscale and contemporary restaurants in the city. Here are our picks for the best Mexican restaurants in Austin, featuring specials, dinner and more! 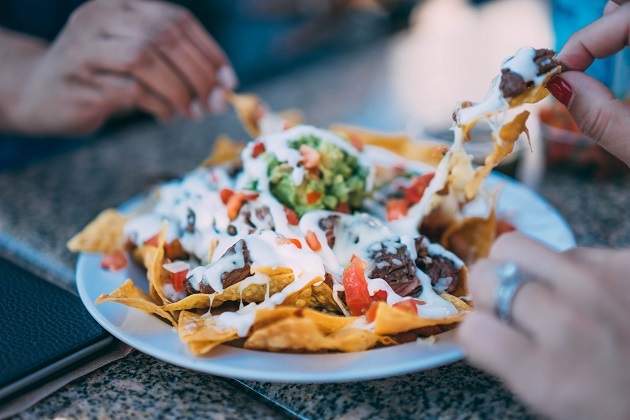 A classic Tex-Mex restaurant and bar in the heart of Austin, Trudy's is the place to be for a great time, awesome drinks, and delicious Mexican cuisine. Chow down on menu items including green chile tacos, smoked chicken quesadillas, tinga queso burritos, and so much more. A well-revered taqueria in South Austin, Guero's has been providing Austin residents and visitors alike with Mexican classics including hand-shaken margaritas, enchiladas, tacos, burritos, queso flameado, and quesadillas with fillings including shredded chicken, shrimp, ground beef, and spinach and mushrooms. This longstanding Mexican restaurant in Austin has been around since 1952 and is deemed "The King of Mexican Food" in the city. This is the place to go for a hearty dose of authentic and delicious Mexican food in Austin. Enchiladas, tacos, fajitas, and more; they're all there and absolutely delicious. A great Southwestern grill in Arboretum, Z Tejas offers a huge variety of contemporary Mexican fare served artfully and delicious. Chow down on specialties including chorizo-stuffed pork tenderloin, chicken fried rib-eye, diablo pasta, and smoked chicken chile relleno. Regional Mexican cooking is the name of the game at Manuel's. Chow down on Mexican bonatas (snacks) like guacamole and chili con queso before dining into entrees like Chile Relleno de Elote, Parrillada in varieties like poultry and beef, and Pescado a la Parrilla. This upscale Mexican restaurant serves a great margarita with their contemporary Mexican dishes. If you're a ceviche lover, try their acapulco featuring striped bass or the poke de atun with yellowfin tuna. This Rainey Street restaurant showcases Oaxacan dishes with a unique, upscale interpretation. They use locally sourced ingredients serving savory salsas and moles with well-seasoned dishes. Vegetarians will delight with the healthy choices served at this popular Tex-Mex restaurant. This East Austin venue is a neighborhood favorite run by the Avila Family for over 75 years. They serve breakfast too! Open from 7 a.m. to 2:30 p.m., Cisco's serves breakfast and lunch with daily lunch specials Monday through Friday. Recipes are simple and homemade. No frills, just like your Albuelita in the kitchen. Homemade dishes and sides salsa, menudo, and beans. This Tex-Mex restaurant puts a classic spin on their dishes with an El Salvadorian twist. They have a large margarita menu and open patio in a casual-chic setting. Check our Mexican restaurants in Austin list for more ideas on where to eat. Register with us at 512area, it's free and we'll connect you to more dining in Austin!